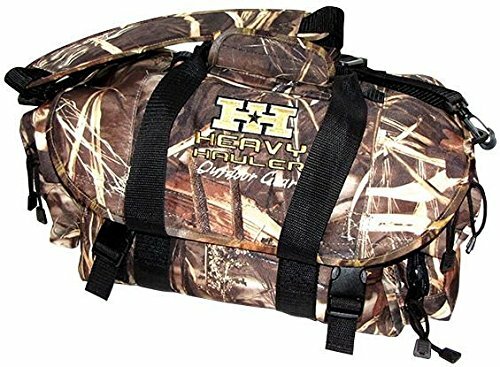 padded, floating bag for the hunter who wants it all in the field or blind. Main compartment size of 13" long x 7" wide x 8" . Features include dual zip opening, inside clip for key storage, inside lid dual mesh zip pockets, backside Velcro pocket with inside zip open water resistant pocket for phone, camera, etc., two small end accessory pockets one having a molded hard cover for sunglasses or calls and adjustable padded shoulder strap.